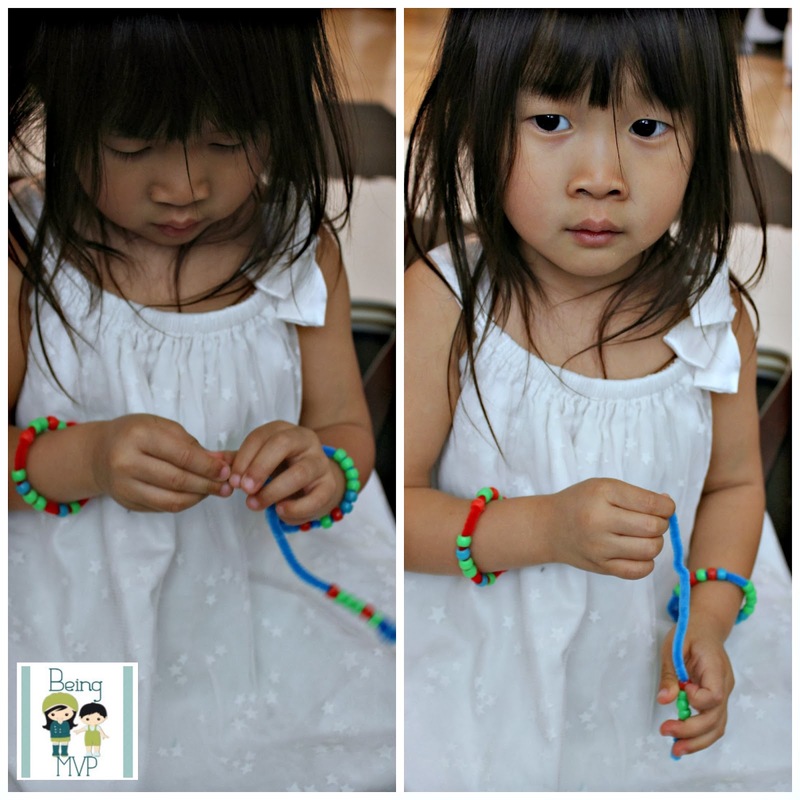 being MVP: PomTree Craft Kits & Giveaway! 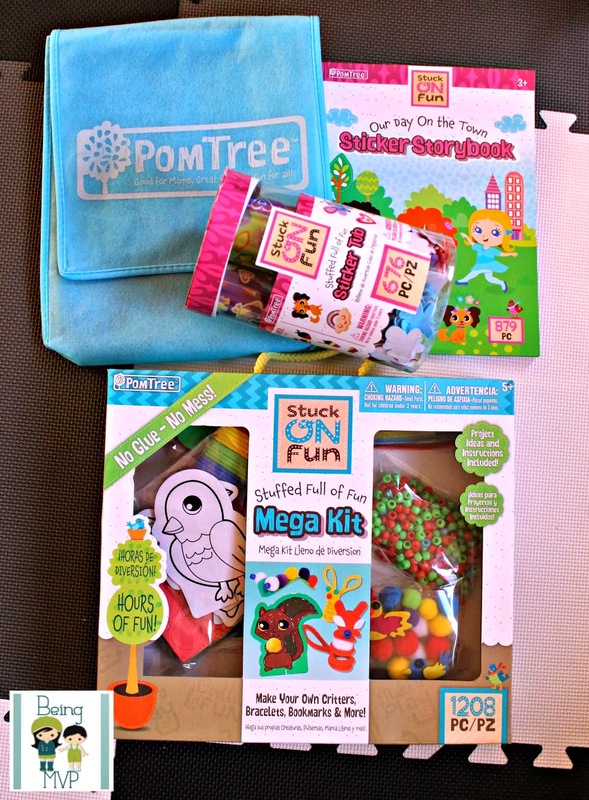 PomTree Craft Kits & Giveaway! Kenzie loves to craft and work on art projects. However, the mess associated with glue is not favorable to me so when the clever kits from PomTree arrived for review, I was more than happy to have her start crafting. 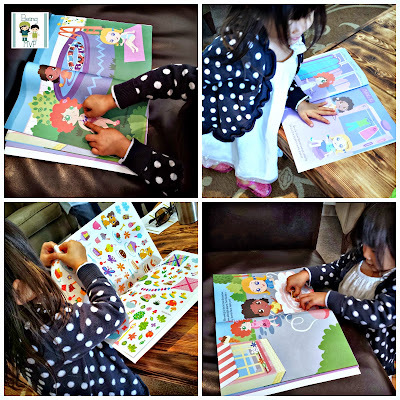 She received a sticker storybook, playscape mega creativity kit and sticker tub. Kenzie immediately went to the Playscape Mega Creativity Kit and wanted to make something. I looked at the box and was impressed by how many supplies are actually tucked inside. There is a variety of foam and felt stickers, pom poms, pony beads and chenille stems. I saw the idea of making little critters with the chenille and pom poms. Kenzie became excited and as I had her start twirling the chenille around her finger to create the springy body, I sadly found out that we didn't have glue in the house. Guess who had to make a trip to the store? Kenzie had a blast making silly creatures. The limit is your imagination. 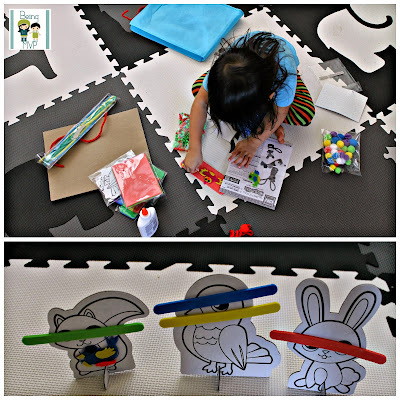 She also made a fab bookmark for grandma and even decorated the cardboard animal stand ups with the foam bars. I'm guessing she didn't like them looking at her? I taught Kenzie how to place the beads onto the chenille wire to make bracelets for herself and to give her friends at church. She now wants to make them matching necklaces! I have a sticker addict in my little girl. There are stickers everywhere and I am always scraping them off the counters, cabinets, car seat etc. However, when she limits the stickers to her own belongings, I let her have free reign. That's why the Our Day On the Town Sticker Storybook is great. It's an interactive sticker book following the day of a little girl and her friends. Children can place stickers onto the various scenes, creating a story. There are 879 stickers in this book and I like that it is travel friendly. This is the perfect distraction to keep her happy (and not kicking the back of the driver's seat) and learning at the same time. I do have to note that these stickers were a little hard for Kenzie to peel off in the beginning until I showed her how to hold onto the backing of the sticker page while peeling. The sticker fun continues with the tub of stickers. These can be used in conjunction with any art project or stand alone to create memory cards, decorate buckets, etc. It is endless fun but make sure to keep out of reach of younger siblings. Mason likes to dash off with these and giggles while I dig them out of his mouth. 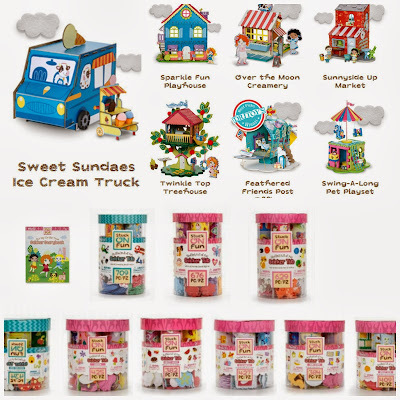 Buy It: You can purchase the Playscape Mega Creativity Kit for $12.99, Our Day on the Town Sticker Storybook for $5.99 and Sticker Tubs from $6.99-$9.99. Make sure to connect with PomTree on Facebook, Twitter and Pinterest! We would love the Twinkle Top Treehouse Playset Kit! I like the Large Boys Life Sticker Tub. I'd love the Mega Playscape Creativity Kit in girl for dd! I babysit for a pair of twin girls that would just love the Mega Playscape Creativity Kit. My son would like the backyard bugs kit! Thanks so much for the fantastic giveaway! Oliver loves bugs so the backyard bug kit would be perfect. I would pick the feathered friends post office playset kit; my daughter would love that. My daughter would love the sticker tub. My kids would love the Swing-A-Long Pet Playset Kit. I love the Swing A Long Pet Play Set! My daughter would love it! I know my kids would love either of the Mega Playscape Creativity Kits. My son would love the mega playscape in neutral. I like the Twinkle Top Treehouse! 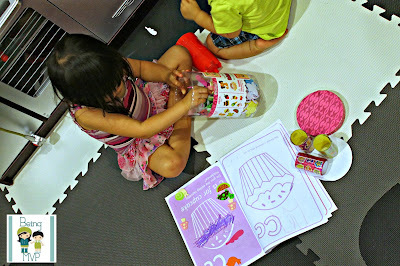 My daughter would love the Mega Playscape Creativity Kit! I like the Garden, Sweet Shop. I'd like to have the Twinkle Top Treehouse. so cute! My boys would enjoy the Sunnyside Up Market.